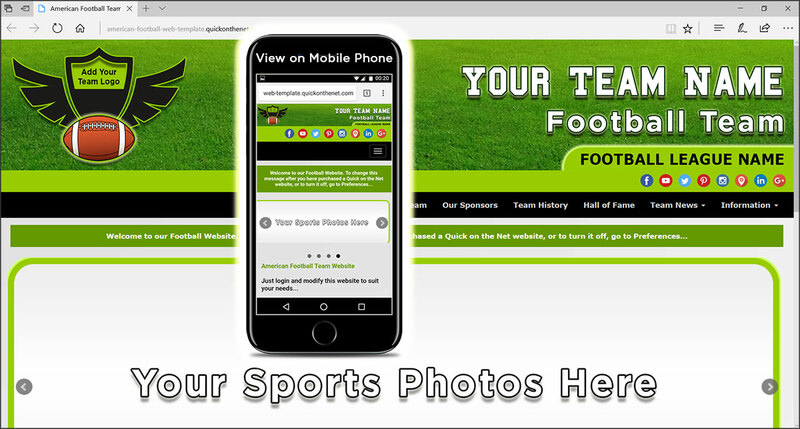 This football web template is ideal for youth football or a senior league team. All we need to know is the name of your team and the name of your football league. When you buy this website, you can login and easily change it suit the needs of your own team. Making changes is easy! It's no problem to add new menu buttons, or rename and remove some of the current buttons. Adding photos and videos of your team in action is extremely simple. Upload your own player roster, with individual profiles of each player and publish your own team schedules and stats and the season develops. You can even sell your own football gear, by adding a PayPal shop, complete with online shopping cart.